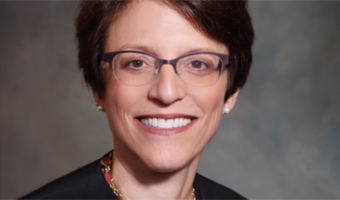 Scripps College of Communication welcomes Judge Judith E. Levy, speaking on her experiences as a federal judge at Ohio University on Wednesday, Nov. 2, at 8 p.m. in Morton 201. Levy joined the Federal Court as an Obama appointee in 2014. She has been at the forefront of legal issues in her work as a federal attorney and now as a federal judge. Levy, the first openly gay judge in the U.S. Sixth Circuit, will share her thoughts on the law and how the law affects LGBTQ members and women. This event is also sponsored by OHIO Association of Black Journalists, Housing and Residence Life, Office of Student Affairs, E.W. Scripps School of Journalism, Scripps College Diversity Committee, Office of Diversity and Inclusion, The LGBT Center, Honors Tutorial College, Center for Law, Justice & Culture, Office of the Provost, and the Political Science Department.